Are you located in San Diego and looking for gold coin dealers in your area? While most Americans prefer buying gold and silver coins online from reputable gold dealers like APMEX Gold, USA Gold and Amergold, some customers feel like they must see gold coins in person to get a better look at the products they are paying money for. 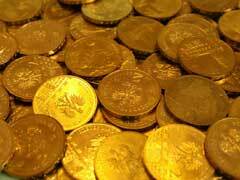 This is the reason why many customers are looking for reliable gold coins San Diego dealers. There are many trustworthy gold coins San Diego dealers and you have an option to visit their store in person or choose from an assortment of certified gold coins or gold bullion products in their online stores. One of gold coins San Diego dealers that received multiple positive reviews is Liberty Coin & Precious Metals Company with their store location in Del Mar, CA. They carry a wide selection of bullion and numismatic coins at competitive prices. Old Coin Shop located in San Diego, CA is a numismatic paradise for anyone interested in buying or selling historical numismatic coins. Come and browse through their selection of almost 6,000 gold and silver coins of different historical periods. San Diego Coin & Bullion specializes in various numismatic and bullion coins as well as rare gold coins. They also offer a wide assortment of commemorative and proof edition gold and silver coins. This Company does not sell their products online and you must visit their store location in San Diego in order to buy or trade in your coins. With prices of gold reaching its record highs, if you are willing to sell your gold or silver bullion coins, then San Diego Gold Bullion Exchange Company located in San Diego, CA is for you. However, if you decide to buy from this gold bullion dealer in San Diego you must spend at least $10,000 which may not be appropriate for some investors. Scroll over to learn which gold coins Los Angeles dealers are worth looking into.